Wallace Chevrolet > Buick > Buick Unveils 2016 LaCrosse Sport Touring! Buick Unveils 2016 LaCrosse Sport Touring! Today, Buick officially expanded the lineup, unveiling the new 2016 Buick LaCrosse Sport Touring. The Lacrosse Sport Touring model wears the same distinctive red shade of paint as the Encore, and also features a helping of exterior enhancements. Outside, large 18-inch wheels with machined faces and “black” pockets immediately set off the exterior while a tasteful yet purposeful rear spoiler further adds to its sporting intentions. hotspot, remote start, eight standard airbags (including rear thorax airbags), and leather trimmed seats with heated seats up front. Plus, all 2016 Buicks come with Buick Suite of Privileges that includes the first two visits of scheduled lube-oil-filter maintenance services for two years/40,000km, whichever comes first. Of course, you also receive Buick’s four-year/80,000 New Vehicle Limited Warranty and six-year/100,000km Powertrain Component Limited Warranty. 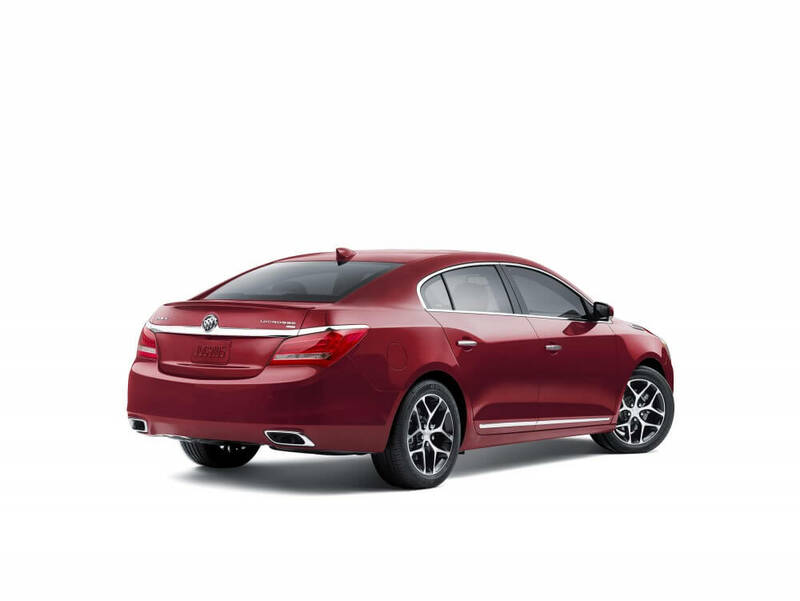 Look for the sharper, sleeker Buick LaCrosse Sport Touring at Wallace Chevrolet later this fall!